Welcome to cornershirt, home of Custom Design Sweat Shirts. 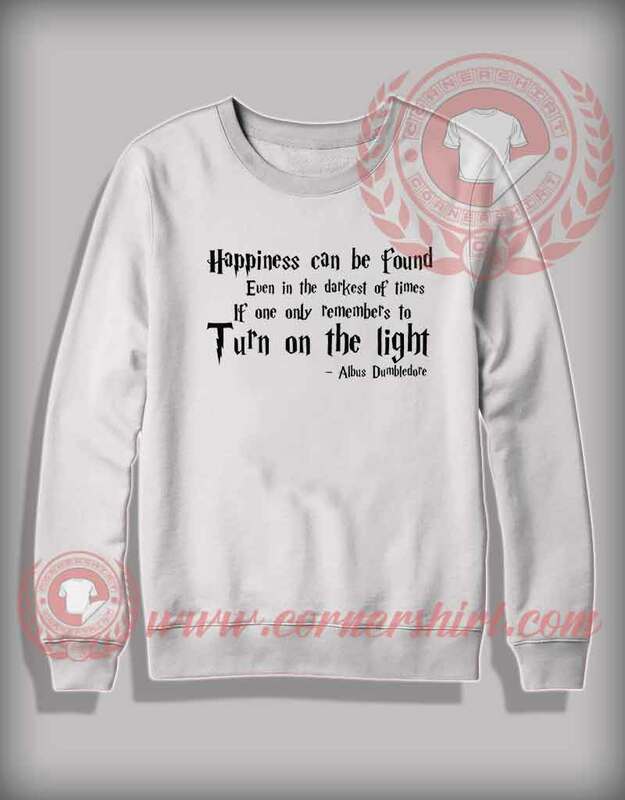 Albus Dumbledor Quotes Sweatshirt is the original and best Quality product Cheap Custom Made Sweat Shirt. The design that we have created in our studio with eco-friendly water based inks using a digital printing method that guarantees a long lasting and durable print its great gift for him or her who enjoyed the show and it’s a cool option for a casual Hangout and make your style be a look a like.